The above questions are all ones that we should be asking ourselves as responsible cat parents. Making sure that your kiddo is staying hydrated is a critical part of their overall health. Dehydration can have deadly consequences. Did you know that 80% of your cat’s body is water? That’s a big number deserving its due recognition. Proper hydration in cats is required to keep their systems functioning properly – such as their digestion, kidneys and circulatory system just to name a few. What Are Signs of Dehydration In Cats? It is very important to keep in mind not all cats exhibit symptoms the same way. Though the above listed signs are most commonly seen, it’s important to be sure by getting examined with a local Vet. Why Switch To A Cat Drinking Fountain? Are you wondering what all the hub bub is about? What’s the big deal about having a water fountain for my cat? Is it really that much better? Since we know the importance of our cats drinking enough water, lets examine this from another perspective. In the wild, if a cat drinks from a stagnant pool of water – they could risk disease or death. Their instincts are much the same at home too. Some cats don’t mind drinking from still bowls, while others will refuse. Our cat Dizzy absolutely hates still water in a bowl. She was drinking very little and would flock to any running water. One behavior we saw her doing constantly was tipping over the water to make it spill everywhere. Why was she doing this? She craved moving, fresh water. I love this PEDY cat water fountain. Most importantly, our cat Dizzy is obsessed with it. We have been amazed by how well she has responded. Gone are any concerns we had about her not getting enough water. It’s extremely easy to clean. The flower head where the water flows from and the base it sits in easily pull apart so you can scrub where you need to. Putting it back together is as simple as aligning the top and bottom piece. Done! 1.6L or 2L capacity means there will be plenty of water available, even for multi-cat households. We personally have the 1.6L (green flower design) and it is just right. Carbon water filters entice your cat to drink more and really do filter well. The filters are simple to replace. Purchasing replacement filters with your fountain is recommended. We have to replace ours fairly frequent with well water. Quiet when in operation. Most of the time, we don’t even realize this water fountain is running. If anything, the sound is soothing. When it becomes low on water, you will notice the sound becoming a little louder to remind you to refill. Water flow pattern makes water drinking nearly irresistible! Water flows out from between the petals in several different directions. After your cat adjusts to the newness of the fountain, they’ll be fascinated with it too. Best of all – it’s affordable!! It used to be that pet fountains were outrageously priced and weren’t that great. You will definitely get your money’s worth out of this purchase. I can honestly say that there isn’t anything I don’t love. The only possible downside I see to this cat water fountain is the frequency you might need to change the water filter. However, this will vary for everyone depending upon the amount of contaminants in your water supply. Well water tends to be high in iron and other minerals which chews up filters. Chlorine (etc) from city water creates other problems. The upside is that replacement carbon filters are easy to find and are reasonably priced. You can find the filters here on Amazon. There is one other thing I’d like to mention. Some folks have had trouble with their pump. Ours stays on continuously now for months. We have not had any problems. It is very important to clean and rinse the pump of any hair debris, mineral deposits or other trash when you clean your water fountain. From what I have witnessed, the pumps are definitely the weakest point of any cat fountains available. Fountain Blue really did an amazing job designing a water fountain that our pets (and us parents) will love! Easy to clean and dishwasher safe! Easy disassembly to scrub all the dirty bits saves you time and frustration. Even better, everything except the pump can be washed in your dishwasher. 2 paw thumbs up! Refund or replacement within the 1st year of use if your problem isn’t fixable! If you are anything like me, I enjoy supporting companies that value me as a customer. Offering a guarantee ensures we aren’t wasting our hard earned money. Fountain Blue is on your side. 2 interchangeable spout designs. I love this! Every pet is unique. Treat them as such. Being able to change the stream setting to match what your cat loves best is a great feature. Pump is easy to clean, expanding its lifespan. Easy care instructions are included. Comes with USB charger plug for ultimate convenience. Nearly silent operation. This pump is impressively quiet. As with other pet water fountains, you will notice more sound when the water level is low. BPA-free plastic. To be honest, this is one of the greatest parts about it. We have become more aware of the dangers with BPA in plastics. You don’t need to worry about this fountain. It is BPA free and safe for your pet. As with the PEDY fountain, I can’t say that there’s anything I really can’t stand about this pick. The water filters are not unlike any other pet water fountain. They will need to be replaced regularly. Fountain Blue recommends every 2 to 4 weeks. You can easily find their replacements here on Amazon. I do recommend purchasing replacements filters at the same time as the fountain because you will definitely be needing them to keep your fountain running without problems. This cat drinking fountain from IPETTIE is amazing! If you are looking for an alternative to plastic drinking fountains, this is a great choice. Made of high quality, natural ceramic. It is eco-friendly, non-toxic and completely safe for your kiddos! Advanced dual filtration. What does this mean? A foam filter traps hair and debris, while the carbon and charcoal filter gets rid of odors and bad tastes. Most pet water fountains let debris get into the pump, making clean up harder for you and shortening the lifespan of your pump. 2.1 liter capacity is more than enough to provide your kitties with fresh drinking water for extended periods of time without refills. An impressive 3 year warranty! They stand behind the quality of their product and I absolutely love that. Ceramic is easier to clean than plastic and doesn’t get that slimy bacterial growth. Impressively quiet pump when operating. Mechanical type noises are annoying to hear all around you. Noise with this pump is not a concern you’ll have to face. Bowl design prevents splashing of water everywhere and is sturdy enough not to be tipped over. Their replacement filters (found here on Amazon) can get pricey with time depending on how often you find yourself needing to replace them. Keeping your cat hydrated and healthy doesn’t have to be hard. The options above are all choices that I know you and your feline will love and enjoy for a long time to come. Do you have any questions that I might be able to help you with? I’d love to hear from you! 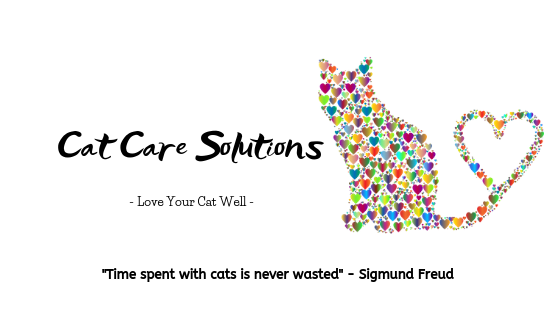 Please, spread the cat care love by sharing this article with your social media friends. It would mean so much! It is my goal to always bring you quality content that improves the quality of you and your cat’s life. Until next time – we send our love to you & yours! My ‘special’ cat of our bunch has sorted out her own preference, and no substitute will distract her now. She goes for my personal glass of water on the headboard..
Oh no! I had a kiddo who did the exact same thing! It is amazing the stuff they get into sometimes! Great info and I had a cat not long ago that liked his water moving, but my present cat just won’t go near the fountain, she must be scared of the sound even though it’s quiet enough, or she doesn’t like running water. But she has no problem drinking from her bowl and I like to refill it twice a day. Oddly, it has to be in my bedroom, she won’t use it anywhere else. But that part isn’t a problem. I’m glad I found your site, thanks for liking a comment I made elsewhere! Keep up with the great info! Hi there! Thank you so much for coming by and commenting. Means so much to me to hear from y’all! Hearing your story of your kitty makes me chuckle because it’s a reminder that our cats are as unique as us. None of us have the same personality exactly and neither do our four legged kiddos. Very interesting that your cat won’t go near the fountain! Is she also leery of running water from faucets etc? Having the water in the bedroom must make her feel safe. Is she more of the anxious type? Your words mean more than I can say! Your encouragement was much needed. 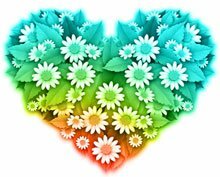 Thank you so much and I’ll look forward to hearing from you again 🙂 Have a beautiful & blessed weekend! Thanks for your reply! Yes, Muffin just doesn’t like running water, even from the faucet, she will run when I turn it on. And she is the anxious type for sure. She doesn’t like people, especially terrified of men with beards. Took her a long time to accept me, but now she has become a very affectionate cat. It did take a lot of patience, but it was worth it! I hope you will have a wonderful weekend! Aww! Bless her heart!! She must have been through a lot. That is horrible. Our cat Dizzy was a rescue as well and had been terribly abused. Anxiety was very severe for her. We found something that has changed her life (and ours as a result). In my post about cat anxiety (found here: https://catcaresolutions.com/2019/02/07/how-to-calm-cat-anxiety/ ), I talk about it some. It might help Muffin too? Aww! I will be visiting there shortly 🙂 I encourage everyone to visit your blog. It is truly wonderful. Wow, thanks so much for such encouragement! God bless! very cool, i didn’t realize there was a reason cats liked moving water and are constantly jumping up to the sink. Glad to finally know the reason why. Glad I could shed some light on the matter. Cats are so unique, much like us. Some are obsessed water (like Dizzy), while others shy away from it. It’s a pretty safe bet when they’re after the sink faucet what they think of it, though 😉 Do your cats ever play with the water? Great information! Every cat is so different!